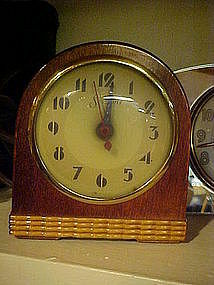 Vintage Sessions shelf clock. Nice wood case withblonde wood bottom trim. Looks great cosmetically. Does need a new cord. Measures 4 7/8" tall.